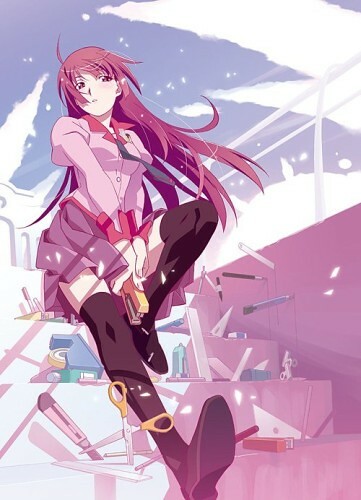 Bakemonogatari [1080p-BluRay] | Gamerzplanet - For All Your Online Gaming Needs! Discussion in 'Anime' started by MaReaL, Mar 15, 2015. In each chapter of the series, he encounters a different heroine, each involved with a different "apparition". The events of the previous chapters play an important role in the subsequent ones. The series primarily focuses on conversations between characters; it contains a fair number of parodies of other series, as well as Nisio Ishin's trademark wordplay and metahumour.